It was in 1938 that Jor-El and Lara placed their infant son Kal-El into a rocket ship headed towards Earth. At first believed to be the sole survivor of the doomed planet Krypton, Kal-El landed in Smallville, a tiny farming community in the American Midwest. Adopted by the kindly Kents and named Clark, the boy slowly came to realize he had strange and miraculous powers: He could see through walls, he had amazing strength, and bullets bounced off his body. He was also a boy who could fly. Faster than a speeding bullet, as his legend soon stated. Clark Kent grew up to be Superman, and was the first comic book hero to become a part of the public consciousness. Nearly 75 years later, he continues to headline his own comic book series and he’s starred in countless films and four live action television series, as well as cartoon shorts. He remains, to this day, the single most popular and recognizable character in comic book history. The Man of Steel, as he’s also known, is a legend, a part of folklore. 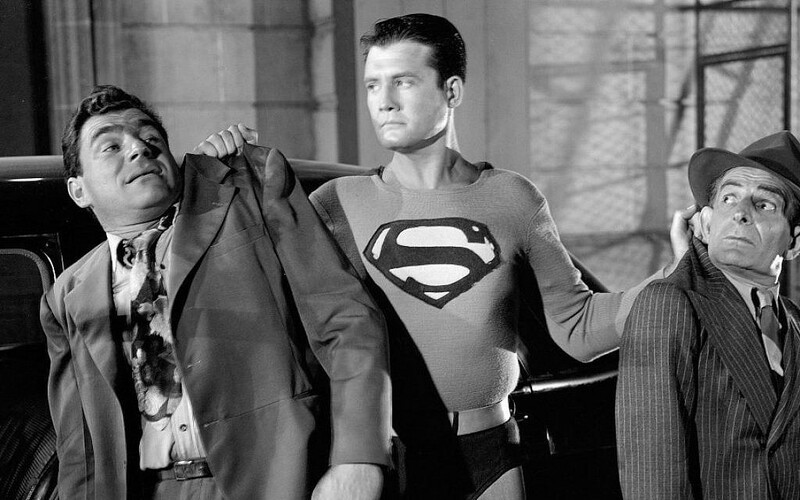 And now, in his new book “Superman, The High Flying History of America’s Most Enduring Hero,” author and journalist Larry Tye reveals a previously unknown aspect of the Superman myth: The Man of Steel is a Jew. 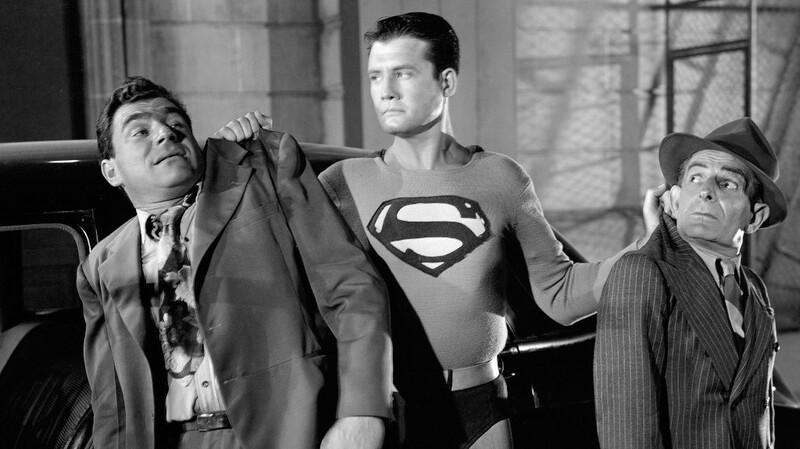 “My fascination with Superman began when I watched reruns of ‘The Adventures of Superman’ when I was 10, after the show’s star, George Reeves, committed suicide,” Tye told the Times of Israel. “Superman was an inspiration because he, more than any fantasy hero, knew instinctively right from wrong, used his brains even more than his brawn to help people in need, and had all the powers a kid like me dreamed of. Including the coolest power of all: flight. Superman’s connection to Judaism was always there. As Tye recounts in his book, Superman’s creators Jerry Siegel and Joe Shuster were childhood friends in Glenville, a predominantly Jewish neighborhood in Cleveland, Ohio. Their parents were Eastern European immigrants from the shtetl. Glenville boasted twenty-five Orthodox synagogues — living there during the 1930s was like living in Israel today. Whether one was observant or not, you breathed a Jewish environment simply by being there. Times were harsh during the great depression, and things were particularly rough in the Siegel household. In 1932, Michael Siegel died during a botched robbery, leaving Sarah Siegel to raise Jerry and his five siblings alone. Larry Tye tells the Times that these early tragedies helped to formulate the Superman character. “Jerry’s loss of his Dad during a robbery, both boys being poor and puny, and their conviction that within them, as well as their hero, lay a man of steel, if only we looked hard enough,” the author said. 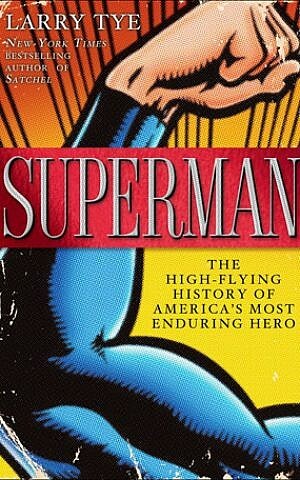 In the book, Tye makes analogies between Superman, and the biblical tale of Samson, who came forward to rescue the Israelites from enslavement by the Philistines. Tye further proclaims that part of the Superman mythology was inspired by no less than the Mishna and the Gemorra. Tye feels that Superman’s ties to Jewish culture and history harken back to the very origins of the character. “I find it had to believe that Superman wasn’t at least as Jewish as his creators,” he said. “Start with his rescue from Krypton: his parents floated him in space, and then the consummately gentile Kents rescued and raised him as their own. If that isn’t the story of Moses and Exodus I don’t know what is. Funnyman was published in 1948 but failed to find an audience. The title was discontinued after six issues. 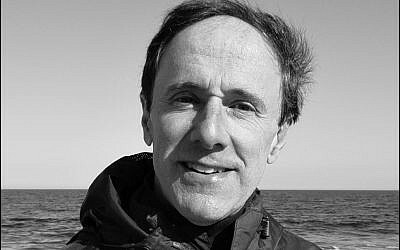 Tye reports that response to his book from within the Jewish community has been positive and enthusiastic. “They seem to love it, or that’s my take-away from the stream of invitations I’m getting from synagogues, Jewish community centers, Jewish book festivals and other Jewish organizations. Ditto from the reviews of the book in Jewish newspapers from Boston to San Diego.